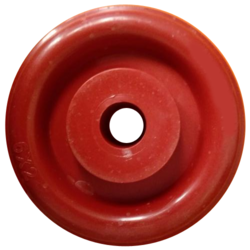 We are a leading Manufacturer of ci trolley wheel, polymer trolley wheel, pallet truck trolley wheel, polyurethane trolley wheel, f type trolley wheel and red pp trolley wheel from Ahmedabad, India. 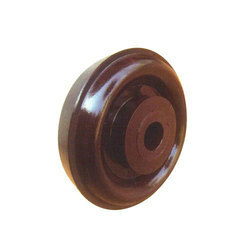 We are engaged in offering an extensive range of CI Trolley Wheel. This product is highly acknowledged amongst the customers for its robust construction and suitable for heavy load in trolleys for industries and many more. We offer product to the patrons after testing it to ensure its correctness. Moreover, our product is easy to use. 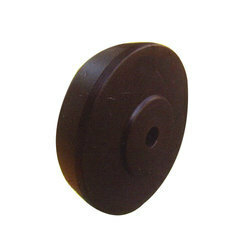 We are the leading manufacturers of S Type Trolley Wheel. 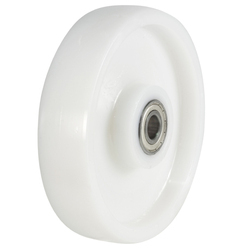 We are engaged in offering a wide range of Pallet Truck Trolley Wheel. 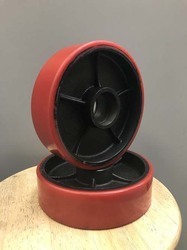 The product we offer to the patrons is available in accurate dimensions and known for its usage in industrial, commercial and many more application areas. Moreover, customers can avail product as per their needs from us on request. 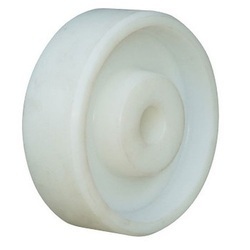 With our years of expertise in this field, we are engaged in offering a wide array of Polyurethane Trolley Wheel. 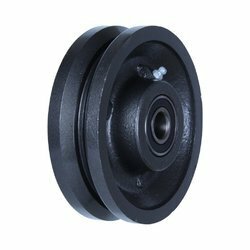 Size (Inches) 2" to 14"
Size (Inches) 2" to 20"
We have emerged as the leading company, engaged in offering a wide variety of Groove Type Trolley Wheel. 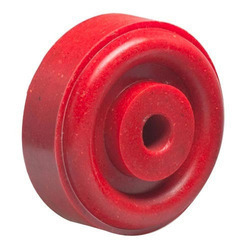 These wheels are precisely manufactured by our experienced professionals using high quality hard polymer and sophisticated technology as per the set industry standards. 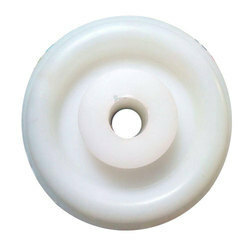 The offered wheels are available in various specifications to meet the varied requirements of our clients. We offer these quality tested wheels at highly affordable price to the clients.